Now that you have played Bad Piggies, and you must be enjoying it pretty badly right? I know, it is addicting and at the same time its really mind twisting. And you don’t want your hard earned game go to waste right? So you might be wondering where did those Piggies saved your save game data so that you can backup it to another storage or transfer the save game data to another device, right? 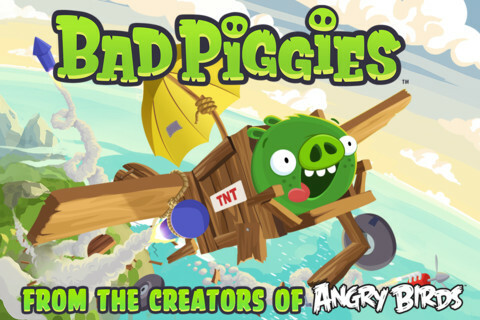 Here I will be showing you where are the Bad Piggies saved game files located for Android and Windows PC. If you have a solution for iPhone and Mac please do share them in the comment section below. By the way: A lot of people stumble on this page looking for a Saved Gamed file. Perhaps a 100% completed Bad Piggies Saved Game File Right? See my notes below. You may need to root you Android device first and use a Root explorer so that you will be able to access the said folder. I think you can interchange the save game data for the HD version and non HD version. There you have it. You can easily backup your game or transfer it to another unit, like what I did. We are playing Bad Piggies in my desktop but we also want to play it on a laptop. We have unlock several levels already and don’t want to do it all over again. So we copied the saved gamed data and paste it in the folder on the laptop. Unfortunately I do not have the save game data location for iPhone, iPad, iOS and Mac. I’m not sure with Windows Phone either. If you any idea where did those piggies kept your game data please do share them below. I noticed that a lot of visitors stumbled here not because they are looking on where are the game files are saved, but they are looking for a 100% completed save game file, right? To accommodate that I did a little research and found a 100% completed save game file. It was posted by a forum member of AndroidCheats. I haven’t tried this though, please download and use it with caution. You can download the files here. Millenniata M-Disc (DVD) will store and save your data forever!